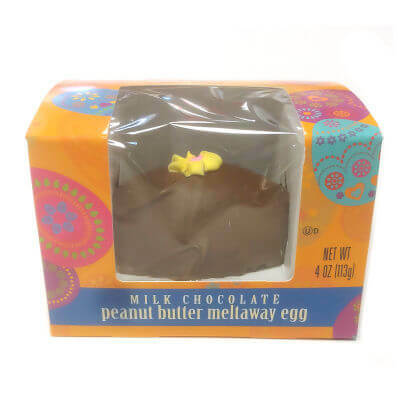 Asher's peanut butter cream egg in an attractive box. Net weight is 4 oz. Made in USA. Egg may get jostled in transit.